Pruning is a process that can be extremely necessary for proper tree management. After we examine the areas around the trees that need service our experts cut what needs to be cut both for growth stimulation or restriction depending on what fits the environment best. Let’s face it, trees can get out of hand. 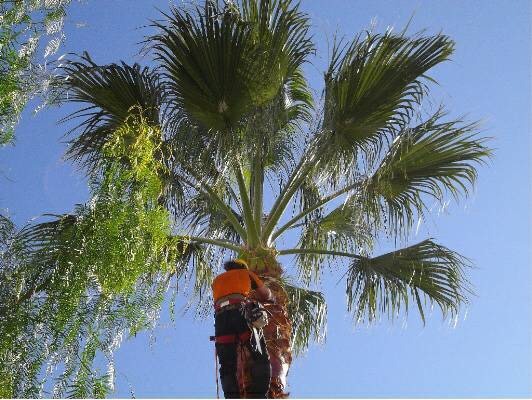 Leave it to our experts and professional equipment to get to both regular-sized trees and those high-to-reach giants for a proper trim. Like icebergs, trees are far more bottom-heavy than top. Cutting and dropping a tree is a bit easier than removing the leftover stump. With our tools and seasoned workers those eye-sore stumps on your residence/property will become a thing of the past. Like any weed, ivy is annoying and extremely difficult to eradicate. Through various treatments we tackle these invasive plants and ensure that they are removed from your residence or business. Whether it’s on concrete or wood we’ll get it out without a trace. Professionalism is our number one priority outside of customer needs. We seek to provide our superior services for all green areas and landscaping projects at tough-to-beat bargain prices.